The moment has been determined by God and the task has been given to the Majestic Family to advise everyone that Mr. Haywood McKoy Jr. departed Sunday morning, leaving his bags behind but holding the hands of two angels dressed in white. No one said anything because all knew where he was going. Details for Mr. McKoy's Life Honoring Services are finalized and have been asked to be announced thusly. On Friday evening, beginning at 5pm until 7pm, Mr. Haywood's family has elected to have him lie in repose for a public viewing at New Light Missionary Baptist Church, Hallsboro, NC. At 11am on Saturday morning, a formal “farewell” ceremony will be called to order at The Brunswick-Waccamaw Association Building in Whiteville, NC. Immediately following the formalities in the church, Mr. McKoy's earthen vessel along with his cherished family will be escorted to the Mt. Hebrew Memorial Gardens, Hallsboro, NC for Committal Rites. One may wonder why Mr. McKoy would leave his earthly belongings here when he departed this past Sunday, however, those close to him find comfort understanding that where Haywood is now there was no need for any of his earthly garments or shoes because he has a pair of Golden Slippers and a Long White Robe. 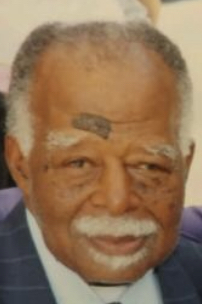 Left to cherish his memories: his wife: Ida Mckoy; his two children: Alicia McKoy and Haywood McKoy III; his two sisters: Louise Spears and Sarah McLaurin and a host of nieces, nephews, aunts, uncles, cousins, other relatives and friends. The family is receiving visitors at the residence located at 841 W. Burkhead St., Whiteville, NC where they will assemble in preparation for the Prestigious Majestic Ebony Motorcade. The Compassionate Professionals of Majestic Funeral Home are serving Mr. McKoy's precious loved ones with uncompromising dignity.